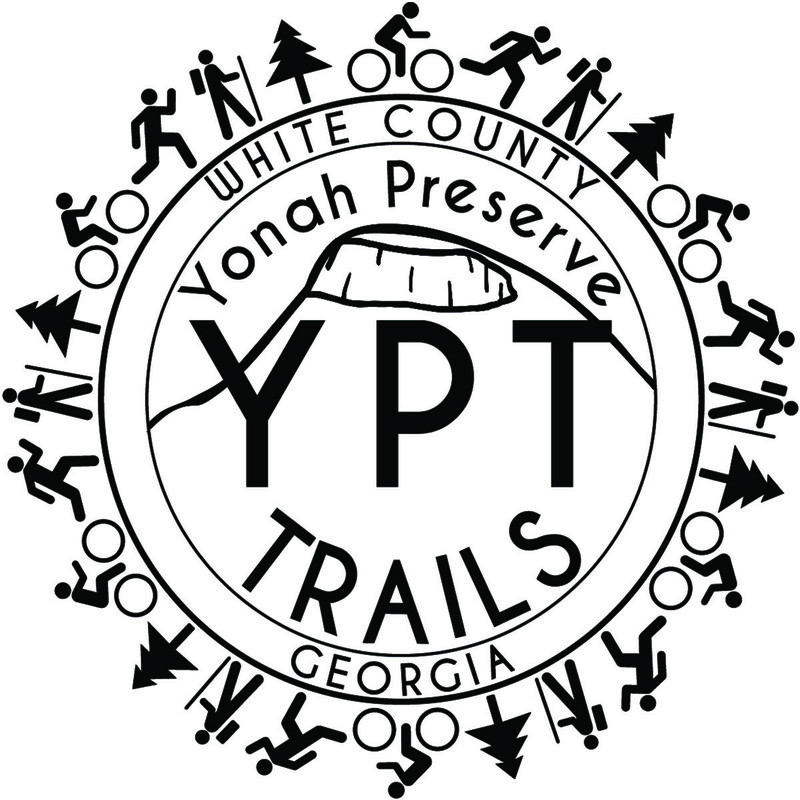 We have been quite busy at Yonah Preserve this Spring and Summer. We successfully put out our project to bid for Phase 1 and Phase 2 construction of approximately 7 miles of our proposed 20 mile trail system. Both of these phases are funded through grants from the Recreation Trails Program, or RTP. We partnered with IMBA Trail Solutions to help us lay out our proposed corridor flag lines and help us manage our bid process. Flowmotion Trail Builders from Anniston, AL was the lowest qualified bidder for both Phase 1 and Phase 2, and Preston York and his crew have been on site since May building beautiful beginner level multi-use, natural surface trails. Phase 1 is on the west side of the lake, and is a self contained 3.3 mile trail with two loops. Phase 2 starts on the east side of the lake and adds approximately 3.5 more miles of trail. Construction is still ongoing on this section and features beautiful views of the lake, an armored creek crossing, and sweet, flowing singletrack. Preston and his team continue to make good on our promise to deliver world class, sustainable, multi-use natural surface trails to White County. We are anxious to show you what has been accomplished, and are already planning and seeking funding for the next phases of this project. Northeast Georgia SORBA has partnered with local government to bring these trails to our community at little to no cost to our local taxpayers. We are actively seeking grants and fundraising to accomplish this goal. If you are interested in helping us bring these trails to life, please contact us. We are a 501(c)3 organization and your donations are tax deductible. If you would like to get your hands dirty and help us build these trails, we welcome your help. Unfortunately, we were hit by Tropical Storm Irma, and do have quite a number of trees down on our constructed trail, but we are working with the county officials to get this cleaned up. We will get it cleared and assess and repair any damage caused to the trail before we open the trail to the public. Our Board of Commissioners plan to open Yonah Preserve to the public sometime in 2018.